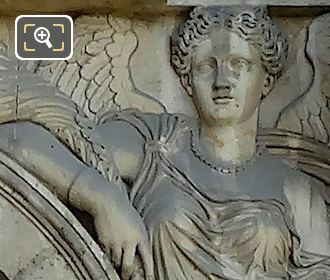 We were at the Musee du Louvre in the 1st Arrondissement of Paris when we took these high definition photos showing a relief called La Paix et l'Abondance, which was sculpted by Jean Pierre Cortot. 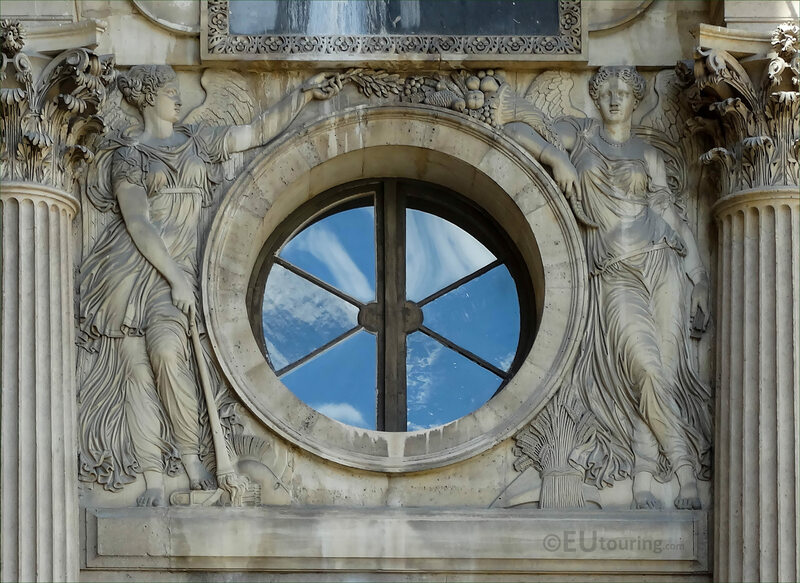 La Paix et l'Abondance is an allegorical bas relief, which in English translates to Peace and Abundance, and as you can see from this first HD photo, this has been sculpted to go around a porthole style window on a facade of the former Palais du Louvre called the Aile Nord. 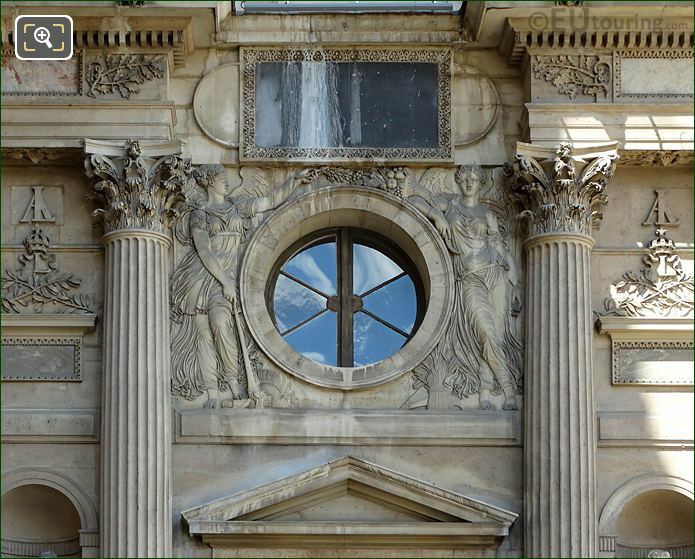 This close up photograph shows the detailing that went into sculpting the allegorical figure of Peace to the left and Abundance with the fruit and grains to the right of the window, which was produced by Jean Pierre Cortot. Born in Paris in 1787, Jean Pierre Cortotand studied to become a French sculptor, winning the Prix de Rome in 1809, which meant he could further his studies at the Villa Medici, the French Academy in Italy, not returning to Paris until 1819, however, upon his return, Jean Pierre Cortot received numerous public commissions for buildings and monuments including the Palais Bourbon. Jean Pierre Cortot also executed two statues for the Place de la Concorde, the equestrian statue of Louis XIII at Place des Vosges, along with many statues for churches plus this relief for the Palais du Louvre, which was produced in 1824. 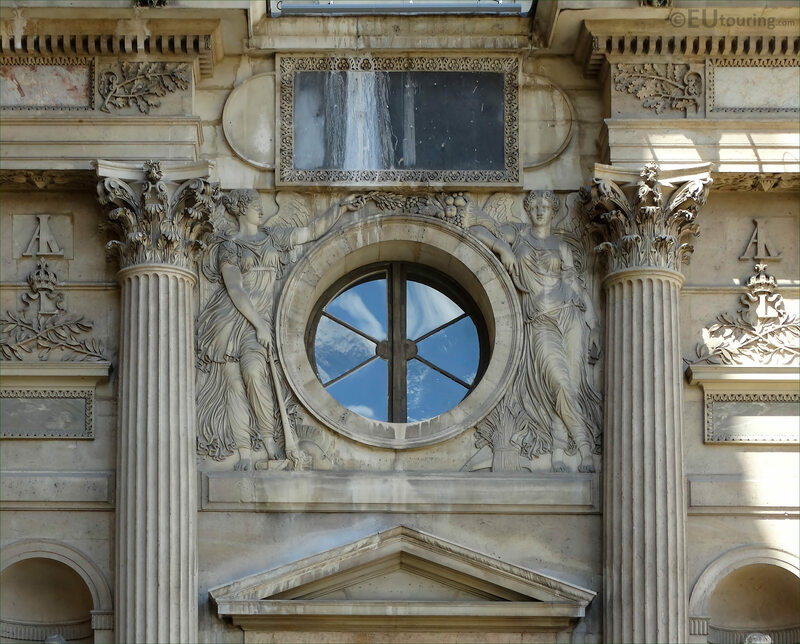 But his most recognised work is the sculpture entitled The Triumph of Napoleon I, which can be seen on the famous tourist attraction of the Arc de Triomphe. 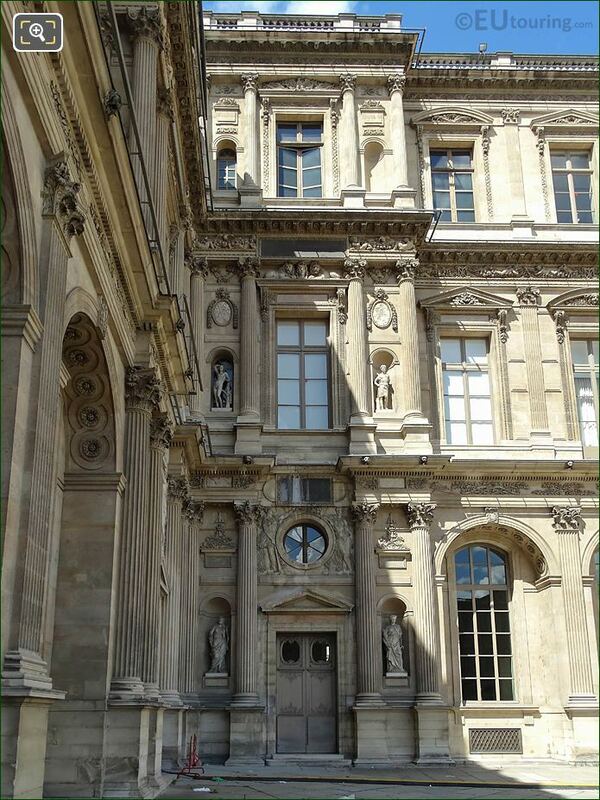 However, this last image shows the location of the porthole with La Paix et l'Abondance surrounding it, which is positioned above a door on the wing of The Louvre called the Aile Nord, and you would need to be standing in the courtyard named the Cour Carree in order to see this facade.